YOUR INTENSIVE CARE HOTLINE - My 84 year old, PREVIOUSLY ACTIVE father is on a ventilator and the DIALYSIS MACHINE in Intensive Care, will his kidneys EVER RECOVER? My 84 year old, PREVIOUSLY ACTIVE father is on a ventilator and the DIALYSIS MACHINE in Intensive Care, will his kidneys EVER RECOVER? My father had Sepsis and his whole life changed within two weeks to the point where he’s dependent on a ventilator as well as daily Dialysis. Prior to the sepsis condition which has been treated, it was announced today that they are going to try to wean him off the ventilator and if he can’t breathe on his own he will have to have a tracheostomy, as well as if the kidneys don’t come back,dialysis for the rest of his life. He is 84 years old and very active and my question is, he had some kidney disease before the sepsis but never to the point of kidney dialysis only needing diuretics to help him and that was it. He had a aortic valve replaced with a bypass and survived very well until this sepsis came up and now on top of all this had to have a pacemaker installed because he was having a heart block with both sides of his heat beating irregular, then the Intensive Care team told me his natural pacemaker wasn’t functioning any longer. Today the Dr told me they are happy with the results of the pacemaker surgery they are going to try to get him off the ventilator and if they can’t, they are going to give him a tracheostomy and give him oxygen that way if he can’t get off the ventilator. 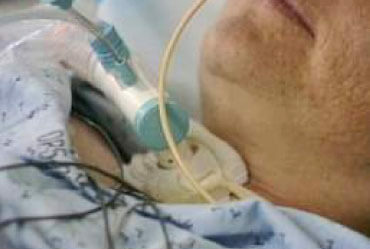 My question is what is a fair amount of time to know to know if you are going to have to be dependent on a ventilator? And what is a fair amount of time to know if his kidneys are going to come back to a normal function, please advise me and let me know. Thank you for your time . Please respond! thank you for your question and thank you for taking the time to seek out our advice. I am very sorry to hear what your father and you are going through since he has been critically ill in Intensive Care. My understanding from what you are describing is that your father had to have an Aortic Valve replacement and he was tracking very well and then he developed Sepsis after surgery. Your father also has had some well controlled kidney failure prior to going into surgery and then ending up in Intensive Care. I also understand that your father has developed an irregular heart rhythm after he had his Aortic Valve replaced. Your father now has a permanent Pacemaker, which seems to take care of him having a regularly beating heart. In order to answer your questions you must know that after an Aortic Valve replacement, it’s nothing unusual that the heart goes into an irregular rhythm. Keep in mind that the heart is sliced open during surgery and often the natural pacemaker or the conduction system of the natural pacemaker gets irreversibly damaged during the open heart surgery. Therefore an implanted pacemaker is taking over the function of the intrinsic conduction system. As it relates to your father’s kidney failure that he is in, there are a couple of things that I can see. 1) Given that he has been having well controlled kidney failure before he has been having open heart surgery, generally speaking there is always a higher risk of developing acute and therefore more severe kidney failure after open heart surgery. The risk is even higher if he has developed Sepsis. Furthermore, low blood pressure, either because of the Sepsis and/or after the surgery may have caused the kidneys to “shut down” and therefore they have stopped working properly. 2) If your father requires kidney dialysis in Intensive Care, this could lead to recovery of the kidneys to the point where his kidney function improves to a previous level of functionality. This is not guaranteed however and I have seen some Intensive Care Patients in similar situations ending up with permanent dialysis. It also depends on how and if he recovers from his Sepsis. As far as your father’s time on the ventilator is concerned and whether he needs a Tracheostomy, please read the following articles(click on the links below). In those articles we give you everything you need to know about mechanical ventilation and Tracheostomy. How long is too long to stay on a ventilator or respirator? I hope this helps Al and please let me know if you have anymore questions. Make sure you also check out our ”BLOG” section with more tips and strategies or send me an email to [email protected] with your questions!